Today is a delightful rain-soaked wind-swept howling mishmash of weather related oddities for me. And it's the first day of December too! Which reminds me…. 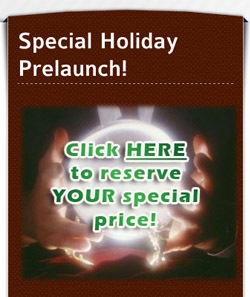 Time to start walking the walk I talk, and starting with the prelaunch of my latest, Big Huge Holiday Profits! You don't know what Big Huge Holiday Profits…*is*? Ah! Well, it's my guidebook that will showcase to you some nifty ideas to get your holiday sales as plumply profitable as possible. In the meantime, how about I give you some chapter samples so you can see the goodness that is clamoring to embrace your very site? Hope you enjoy! Hello and welcome to this work at home study guide for ensuring your end of the year holiday profits are as high as you could possibly hope for! This way, every day you have one specific task you can follow. And you don't even have to do only one a day – if you're really into leapfrogging over your competitors, you can probably get through the whole book in less than a week, and have your holiday profits process up and running smoothly before 2. Not only that – I also give you excellent resources and ideas for you to take my ideas and run off into the wild blue yonder! You're only limited…by your imagination. In short, there's no open ends here! Each milestone in this workbook gives you the foundation to move to the next level, and the next level, and the…. you know what I mean. Couple of things to notice – one, do you see the nice column to the right that has the word NOTES above it? That's for YOU to write down anything that stands out in your mind. But not only that – for each milestone, I provide you with a printable checklist that you can print off and use to keep track of your own progress. Neat, eh? Before you know it, you'll be well on your way to beefing up your final holiday profit goals. Ready to begin? Alright then, turn to the next page and let's go! Before you dive earlobe first into maximizing the money you make during the next 25 days, it would help to have a few basics down. Here are the tools I consider to be mandatory for you to possess and use. An autoresponder is how you can do send followup emails to interested customers. You might be aware of it already if you currently run a newsletter (generally powered by autoresponders) or a mailing list (ditto). There are other ways of contacting a customer base, mind you, using a Facebook Fan Page or a Yahoo Group or a Google Group etc. But truly, for personalization and ease of use, you simply NEED (as in, it's not debatable, you NEED) an autoresponder. Once you have an autoresponder, you need a way to tie it into your site. My book, 21 Easy Steps To Putting Your Business Online in 24 Hours or LESS, covers this in detail. But at the easiest, you can throw up a Paypal “Buy It Now!” button for your products. Obviously, the above is only a brief brief BRIEF smattering of the barerock bare-bones bare-back thingees that you need to be profitable this holiday season. Now, with that out of the way….let's begin your adventure! Now…why would you want a holiday countdown widget on your site? Simple! It draws attention to the fact that there are only X shopping days remaining until the G-day (gift day!). So adding a free countdown widget is most intelligent indeed. Customers need to be nudged more…than once. 7 times actually, if you'll believe what 99.983% of the worlds' foremost marketers say. chat a bit about this. But luckily here, we have 25 whole days to make our point! That's why you want to include the countdown widget. Visit http://mycountdown.org/ . There's Xmas countdowns and Chanukah countdowns and special day countdowns and …. Choose the widget you want, say, http://mycountdown.org/Holiday/Christmas/getwidget/3015/ , configure it and add it to your WordPress site via the Widgets option on your dashboard. http://www.youtube.com/watch?v=8GIsWgyGCzQ is a nice video about configuring widgets in WordPress, if you've never tackled that before. http://www.springwidgets.com/widgets/search?terms=christmas is another resource as well. The special sales page – here's what I did. My special Holiday product that I'll be pushing is this book you're reading – Big Huge Holiday Profits. However, even though it's going to take me more than one day to complete, I want to start generating income as soon as possible. 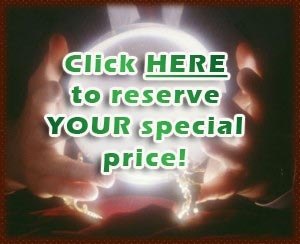 Thus, I created a special “Prelaunch” page over at http://www.barbaraling.com/bhhp-prelaunch/ that does several things. It lets people reserve their copy of the Gold edition at only $17 (I'll probably end up pricing the gold at $37 or more). It's only a straight Paypal button that anyone can use. If folks choose NOT to buy at that instant, they can STILL optin to my Big Huge Holiday Profits autoresponder and be alerted to when the book is finally available. Thus, I'm also building my list at the same time. Step 1.) Created my Holiday autoresponder. Want free buy now buttons? 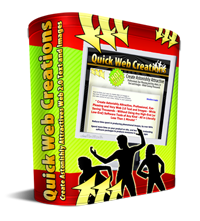 to easily handcraft your own (that fits your site color scheme…it's from Quick Web Creations). http://www.barbaraling.com/thankyou/ (that's where Paypal sends people once they've paid for the prelaunch). So now I'm ready to continue! Yes, it's quite a lot of work on the first day…I'll have to hand you that! However, getting all of the precise annoying specifics out of the way asap….it gives you time to concentrate upon your future marketing later on in the month. Think a bit about how you want to display your widget. X Days Left for Great Niche Gifts! Intrigued? If so, you can reserve your GOLD copy for only $17! It's easy to do! Simply paypal me the money below and when it's available, I'll send you your private download link. How can you get sweeter than that?